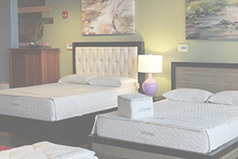 Interested in joining an employee-owned company on the forefront of the organic mattress industry? We'd love to hear from you! Want to work for an employee-owned, growing business? Savvy Rest, a dynamic, cool company that manufactures natural mattresses and bedding products around Charlottesville, VA, is seeking an entry-level, detail-oriented, and dependable candidate to join our woodshop team just outside Charlottesville, VA. If you like to work within a focused and light-hearted group, you'll want to check out this position. We offer exceptional training, a wonderful team environment and a benefits package that will help secure the kind of future you've dreamed about. This position requires an average of 40 hours per week at our facility in Ivy, VA. Competitive benefit package offered with paid vacations, health insurance, and 401 K plan. Be enriched by being at work!